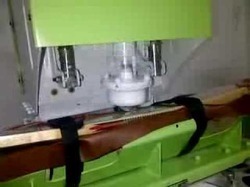 - Fully Automatic Bat Feeding Mechanism to eliminate operator thrust. - Automatic Knock counter with functionality to set up desired input knocks. - Buzzer Alarm on completion of Knocking. - Fully functional on auto and Manual mode. 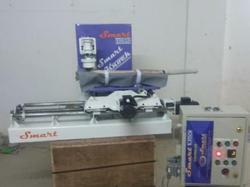 We are one of the leading supplier of Cricket Bat Knocking Machine. We are one of the emerging supplier of Cricket Bat Knocking Machine. We are offering Cricket Bat Knocking Machine service. We are a leading manufacturer of Cricket Bat Knocking Machine. We are a leading Supplier of Cricket Bat Knocking Machine.